Through this little ministry the Lord has appointed to me I’ve had the ridiculously fulfilling opportunity to serve many women’s groups by teaching at various events and retreats. I look forward to every single one. The heartbreaking part of each meeting is that I’m typically with a group just long enough to fall in love with them only to realize that I may never see them in person again this side of heaven. It’s not fair that we can’t stay in one another’s dailiness. Of course, I’m being presumptuous. You may not like me as much as I like you. 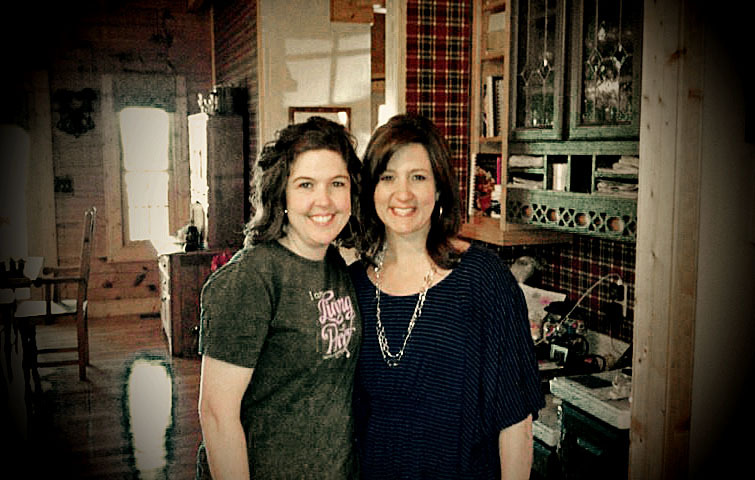 But then again, there are those rare times when I get to reconnect with a forever friend which is precisely what happened this past weekend when I had the joy of serving my friend Christy and her church girls in the gorgeous Tennessee countryside. Christy and Derek are Bible college and seminary buddies who – even though we’ve not seen them in years – remain one of those couples we will adore always. I told her this weekend they are touchstone friends. Ones that call you back to a time when life was a little simpler primarily because our entire focus was preparing for the ministry God had for our families. A lot of life has happened since then and at times a girl considers quitting. Seeing people like Christy cures thoughts like that. Christy’s church girls were fantastic. Just took me in like I was one of their own. I hesitate to call names because I don’t want to leave out all the great girls I met but I MUST call out Jeannie, the church administrative assistant, because y’all, she actually “knew” me from my blog before she figured out Christy and I were bff. That may have happened only two times EVER so that makes you special, sister! One of a very small group..ha! Which begs the question, why didn’t we get our picture! Gah! Saturday came much too quickly and when it was all over I was thinking, “Really? That’s it? Can’t we make this thing last a little longer?” Yes, it was way too short but what it lacked in length it made of for in depth. Meaningful doesn’t cover it. I deeply hope I get the chance to connect with all you girls again soon. Christy and I are going to move heaven and earth to get the husbands in on our next meeting. One other thing I want to share with you. Christy and Derek are adopting two boys from an orphanage in Ghana and she has a wonderful blog chronicling their journey. I know she would love for y’all to connect with her there at Just Like Us. Okay, it’s time to shut this thing down and get some sleep. Pray you had a great weekend, too! What kind of fun did you have? Lisa, I loved Friday night !!! I so wished I could have made it on Saturday to finish up ” Living the Good Life “. Thanks for your time you put in and followed Gods direction on what to share with our small group. I will pray for you sister on your driving teenager Sawyer as you pray for my driving teenager Hunter. I had such a good time talking to you! I wish we’d had longer to talk about our boys. Please keep in touch with me! Lisa, what can I say? I just love you. Every moment spent with you is nothing but sweet, my friend. Thank you for bringing us the message God laid on your heart. I pray that all of us will avoid being the complacent woman and strive to be the woman at peace! Can not wait to have you back! *sniff sniff* love you sister. Yes….they seem like great girls…BUT…did they have a resident stalker like myself?!? Granbury still misses you! !